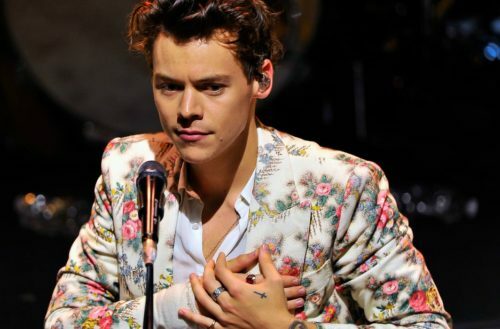 Harry Styles kicked off his world tour last night in San Francisco, and he did it in a very, very gay way. The 23-year-old heartthrob waved a rainbow pride flag around stage, and also belted some Ariana Grande, too. A fan threw a rainbow flag onto the stage during his performance of his song “Woman,” in direct opposition to the song’s heteronormative storyline. Sporting a floral suit, the heartthrob draped the flag over his microphone stand and sang with it there for the remainder of the show. 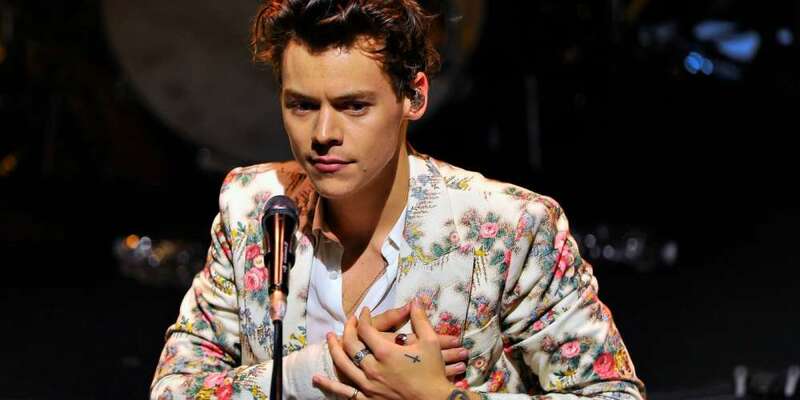 This isn’t the first time Styles has shown his support for the LGBTQ community during a concert. He wore the pride flag as a cape during a One Direction show in New York back in 2015. He also showed support for out NFL star Michael Sam by wearing the football player’s St. Louis Rams jersey during a 2014 1D show. Later in the show last night, Styles performed a cover of Ariana Grande’s “Just a Little Bit Of Your Heart,” a song he co-wrote, with his rainbow decorated mic stand. “He turned Grande’s melodrama on its head, remaking the tearjerker as a down-and-dirty country-rock romp,” writes Rolling Stone. Styles’ world tour has queer band MUNA opening many of its shows. Tonight they head to Los Angeles and then across the globe. Tickets are available here, though almost all dates are sold out.